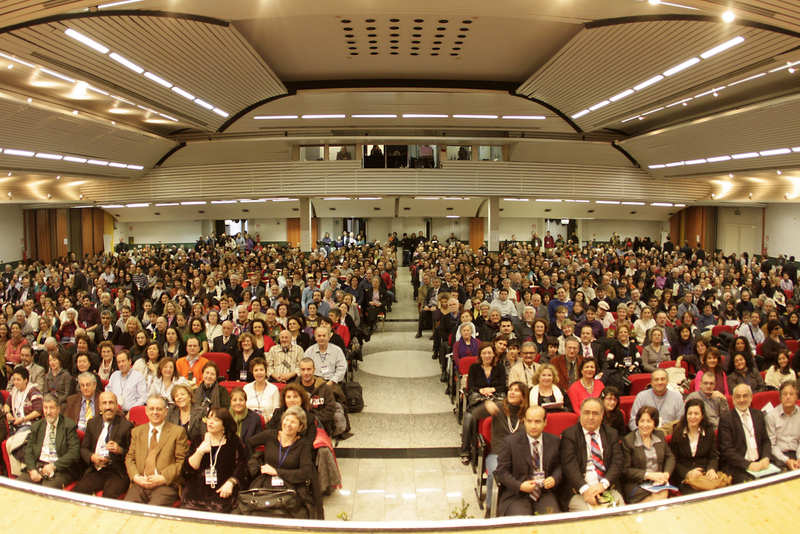 Nearly 1,700 people, 300 of them children and junior youth, participated in the historic regional conference in Padua, Italy. The Baha’i communities of Bosnia and Herzegovina, Bulgaria, Croatia, Greece, Italy, Malta, Romania, San Marino, Sicily, and Slovenia were also invited, and they were joined by people from an additional 10 nations. 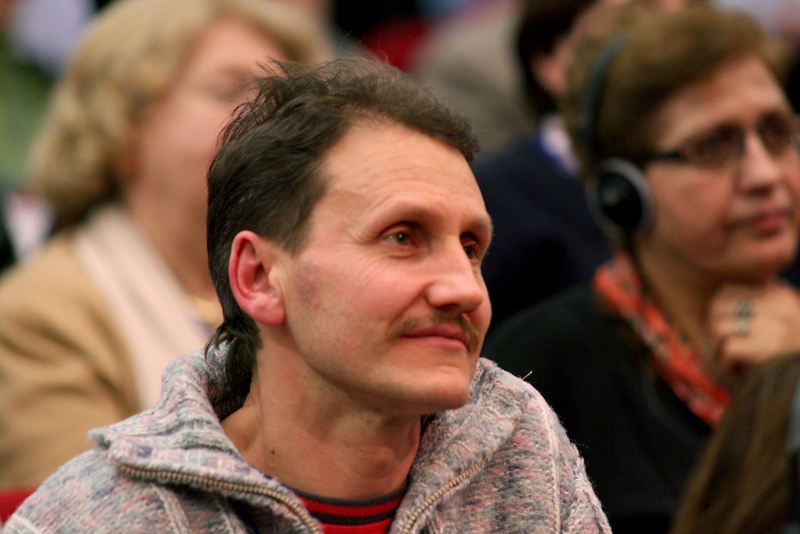 Among the travelers’ stories was that of Deni Petrosky, who came from Macedonia. Two days before the conference, he got up at 5 a.m. to catch the bus from his hometown of Bitola for the three-and-a-half hour trip to Skopje, the capital. From Skopje he traveled another five hours to reach Nis, in Serbia. 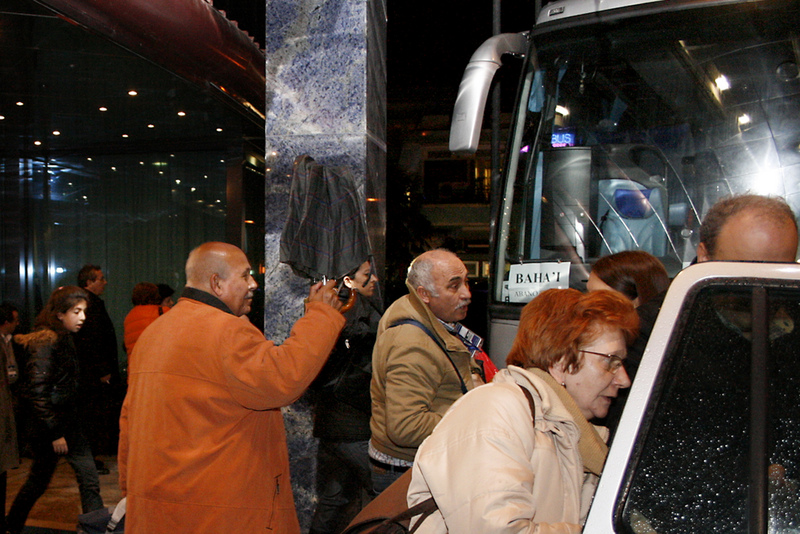 From Nis he took a taxi to a spot on the roadway where he waited for a bus with more than 20 Baha’is coming from Bulgaria. 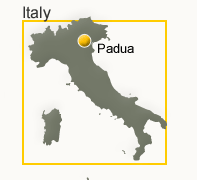 They rendezvoused as planned, and he climbed aboard for a 22-hour bus ride to Padua. Attending the conference as representatives of the Universal House of Justice were Dr. Ayman Rouhani and Dr. Penelope Walker, both members of the International Teaching Center. Also present were three members of the Continental Board of Counselors, Nadia Koppold, Ilhan Sezgin, and Sohrab Youssefian. 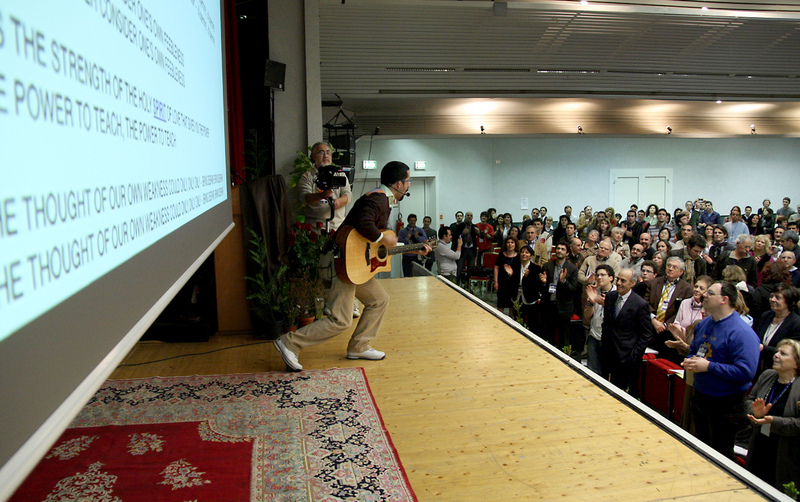 The venue was a well-known resort in Abano Terme, just outside of Padua. At the start on Saturday morning prayers were followed by the reading of the message from the Universal House of Justice to those gathered in Padua. 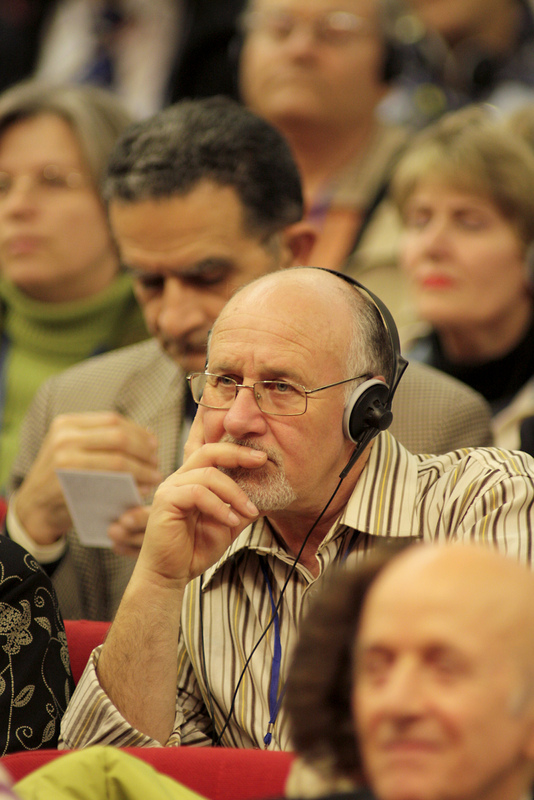 Dr. Walker gave the opening address, explaining that during the “few hours” of the conference, participants must develop a broader vision of the Baha’i Faith. One of the things she emphasized was the importance of continuing to cultivate an attitude of learning in all activities. Dr. Walker cited passages from the Baha’i writings about the urgent needs of society today, and the unique opportunities for service. People divided into 27 workshop groups to study the message from the House of Justice to the conference and the 20 October 2008 letter to the Baha’is of the world. Dr. Rouhani's presentation on Saturday afternoon reviewed steps that have been taken since 1996 in establishing the institute process and focusing activities on a particular geographic area. He noted that Baha’is are at the midpoint of a 25-year effort, and he outlined the elements of a healthy pattern of growth in a community. He stressed that every person can contribute to efforts to establish core activities, and noted that study circles help to build each person’s capacity to serve. 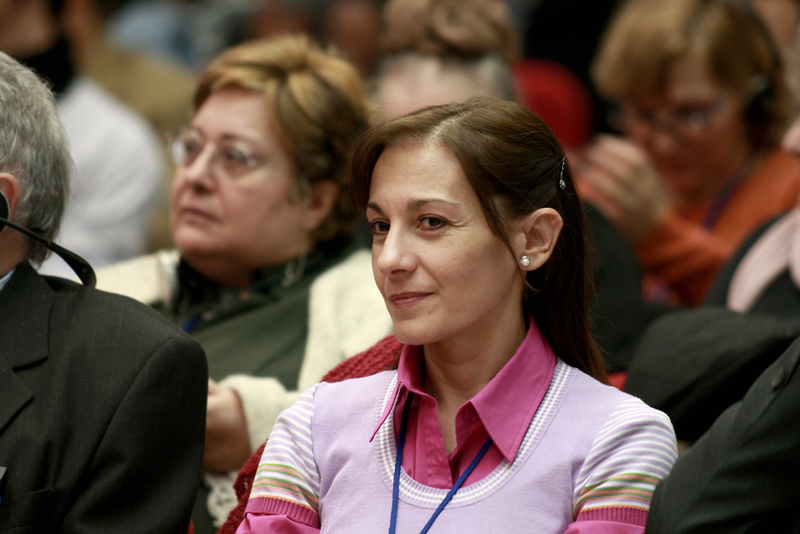 Some of the Bahá’ís recounted experiences from their home communities. An Italian believer who lives in a religiously conservative area said he helped start children’s classes, leading to other core activities and eventually establishing a pattern of growth in his neighborhood. Another man told how he had joined the Baha’i community after completing the first book in the series of institute courses, and then became so motivated that he completed the full sequence of courses within five months. 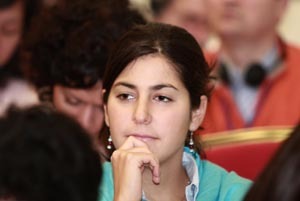 Reports from Romania illustrated the dynamic impact of the program of growth and of the work with youth in their early teenage years. The Saturday evening program was a panorama of artists from all the countries: two talented opera singers from Slovenia and Malta, a pianist from Romania, a Bulgarian folk singer, and a professional guitarist from Croatia, and four children singing a song about the Manifestations of God. Greece sent a quintet of female singers as well as dancers from Rhodes. From Sicily came folk dancers, from Italy a professional dancer. Sunday morning's first session was short – an introduction by two of the continental counselors to the workshop sessions that followed, intended for specific planning in various communities. Once again, 27 breakout groups were formed, giving an opportunity to everyone to participate personally. Many people made commitments for future activity, including 323 who wanted to initiate one of the core activities. Participants said they would establish in six geographic areas a program of growth earlier than planned. A high point of the day came when two youth, Alessandro, age 12, and Emily, 13, presented the results of a planning session attended by 60 of their peers. They all agreed to help establish 21 new devotional meetings; assist with 34 children’s classes, whether new or existing; and help establish 24 new youth groups. Also, 28 of their number offered to participate in home visits and 37 wanted to be part of a teaching group. 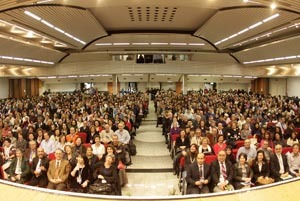 Nearly 1,700 people participated in the conference, held just outside of Padua in northern Italy. 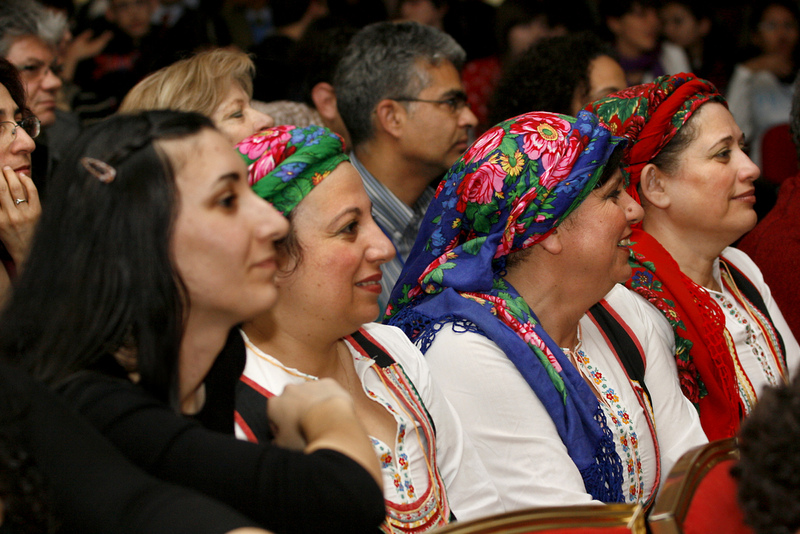 Baha’is from Greece wore colorful native dress. They went onstage later to perform as part of the cultural program. Noemi Robiati of Italy was one of many youth who served as volunteers to help the conference run smoothly. This group, which came to be known as the “Youngsters,” led the gathering in dance moves between sessions. The friends follow the lead of the “Youngsters” during a break. 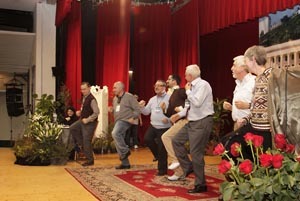 About 20 countries were represented among the 1,700 participants. Naim Abid of Genoa takes to the stage during a break. Meanwhile, youth volunteers went up and down the aisles with large rolling trays, offering coffee and cake to the friends. 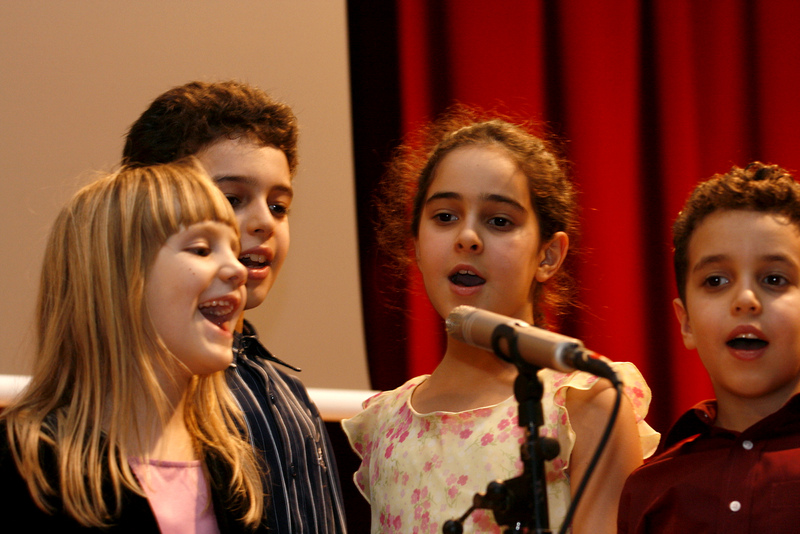 Children from Croatia perform during the cultural program on Saturday evening. 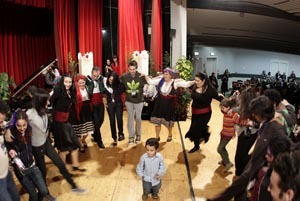 As the cultural program drew to a close, the Greeks invited others to come onstage with them and dance. 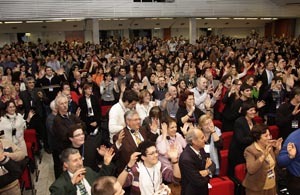 The languages of the conference were English, Greek, Italian, and Romanian. Simultaneous translation was provided. 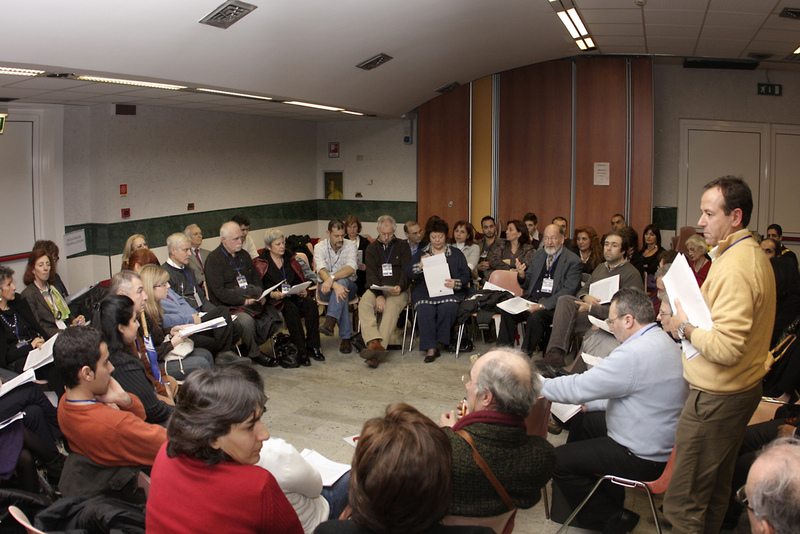 Some of the 100-plus Baha’is who traveled from Sicily consult during a workshop on Sunday morning. The Padua event, and a simultaneous gathering in Frankfurt, Germany, were the 36th and 37th conferences in the current series of 41. 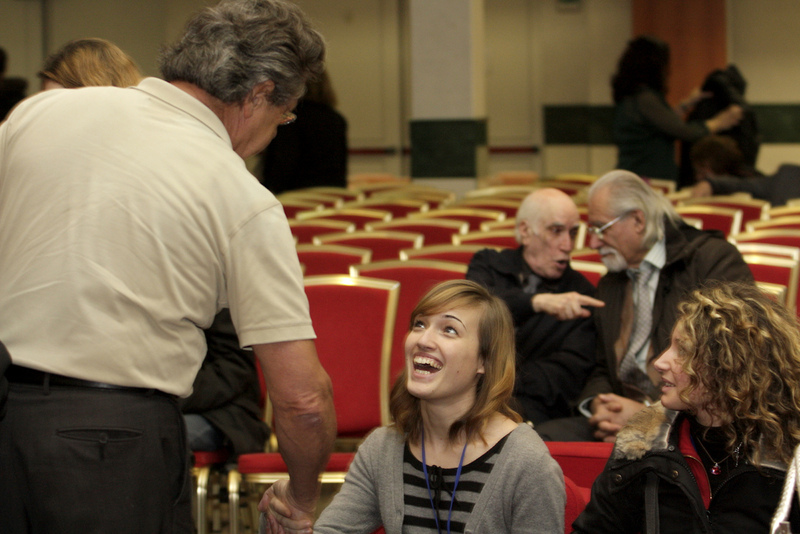 Rebecca Tenca of the Gardesana cluster in Italy returns a greeting to a member of the host National Spiritual Assembly. 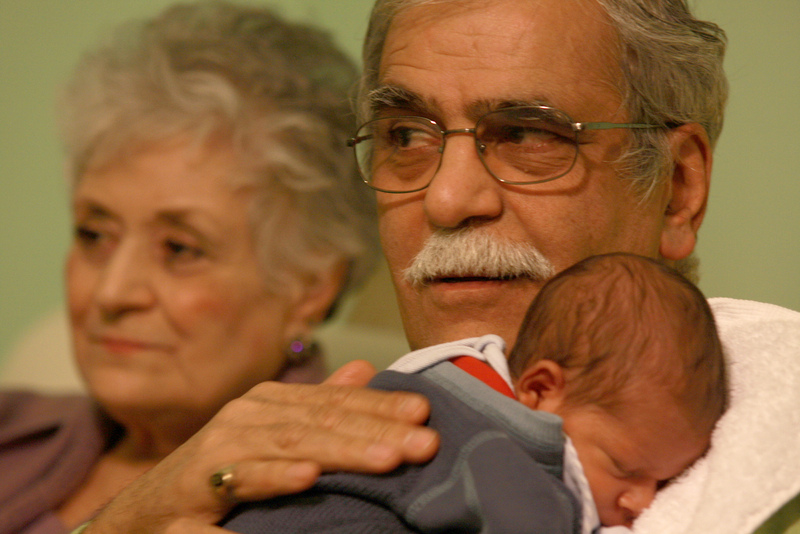 Deli and Jamshid Varjavandi are pictured with the month-old baby of another conference participant. Mr. Varjavandi is director of the Center for Baha’i Studies in Acuto, near Rome. People head home after the conference.